Male Cosmetic Surgery with Thomas F. Mitts, M.D. Thomas F. Mitts, M. D. is a veteran surgeon skilled in the art of facial cosmetic surgery and body contouring for both men and women. For the male patients we serve, Dr. Mitts is able to discreetly provide natural-looking results that honor their masculine characteristics, personal goals, and health needs. Whether you are seeking invasive or non-invasive treatment for your hair, face, body, or skin, we will carefully follow your aesthetic vision in the privacy of our facilities. The American Society for Aesthetic Plastic Surgery estimates about half of the male population is affected by gynecomastia, a clinical term that refers to enlarged male breast tissue. Fortunately, male breast reduction surgery stands as a viable option for men with this condition. Through either liposuction or by cutting out excess glandular tissue and/or fat, Dr. Mitts can correct gynecomastia in a one to two hour procedure. 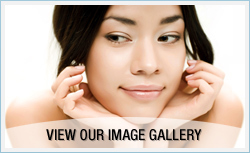 We offer a multitude of male cosmetic surgery and treatments, many of which are included below. In fact, Dr. Mitts can tailor virtually all of our treatments for men. Remember, it may be possible to combine one or more of the options below. Dr. Mitts and his staff are standing by to assist men in pursuing their aesthetic goals. To schedule an appointment with our experienced surgeon, please contact our practice today! We would be happy to explore the ways that you could benefit from our services. Thomas F. Mitts, MD, Inc.
Our surgeon takes care to honor the masculine characteristics of our patients when performing male cosmetic surgery.